The rustic design style is one of the most popular looks at the moment. And you think your bedroom would be the perfect place to start incorporating this style? You’re absolutely right! That’s why we’re going to show you how you can implement the rustic chic without having to completely re-model your house to a log-cabin. Basically, a rustic design means the creation of a comfortable and peaceful space with the use of old-fashioned decor and materials. Forget about gleaming chrome and ultra-moden, sleek lines. Rustic designs are natural, playful, and incredibly charming. 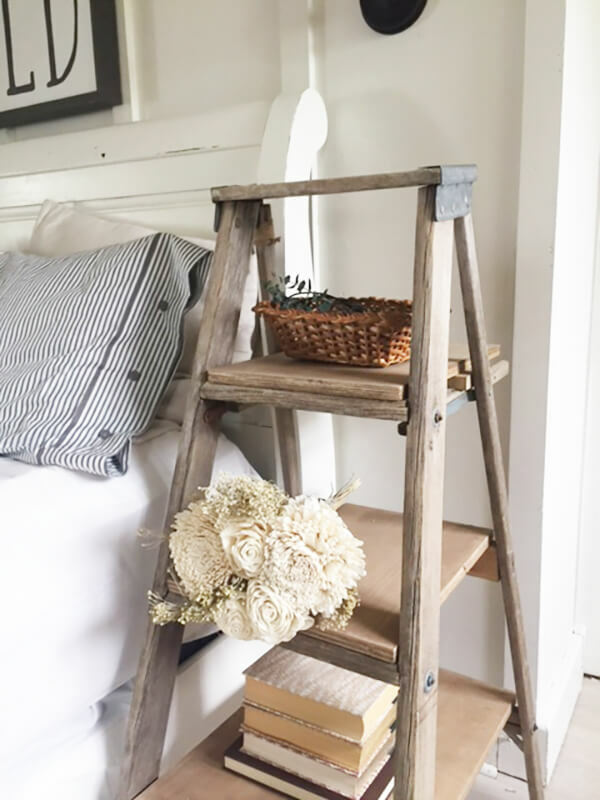 And now that we have covered the ground rules of the style, let us show you how to add some rustic flair to your bedroom with some simple to implement decorating ideas! Barn doors, obviously, are a huge thing in rustic decorations. But don’t worry, you don’t need to re-model your room to fit in a new, huge sliding door! Get creative instead! 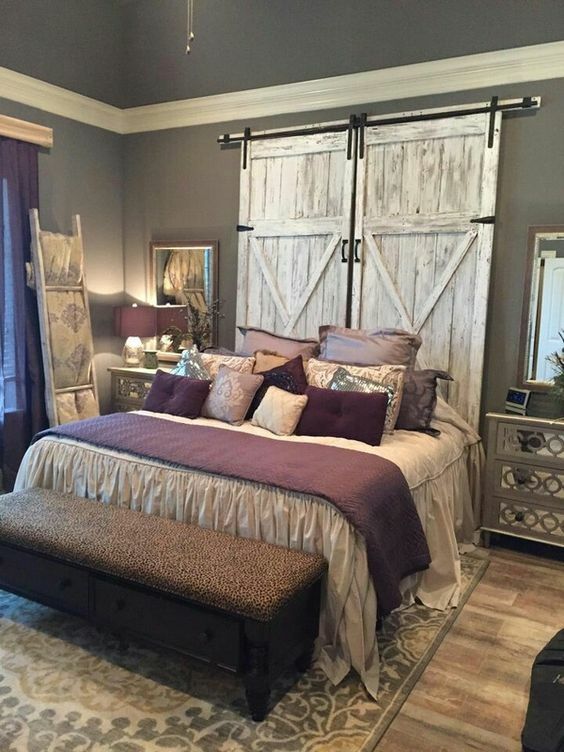 Why not re-use old barn doors as a headboard for your bed? Or install a barn door as sliding door on your wardrobe instead of your old, plain door? It’s the look that matters, not necessarily the function (though if you can make both work for you, all the better!). Sometimes changing the style of the room can be as easy as swapping out the expected with the unexpected. Instead of making use of your “normal” nightstand, dig out an old, rickety ladder, lay sheets of wood across the individual rugs and voila! Your new, rustic nightstand! We know that many, if not most, modern apartments and houses do not come with wood-panelled walls, so going for the rustic log-cabin style might seem impossible for you. But don’t worry, you don’t need actual wooden walls to create the look! 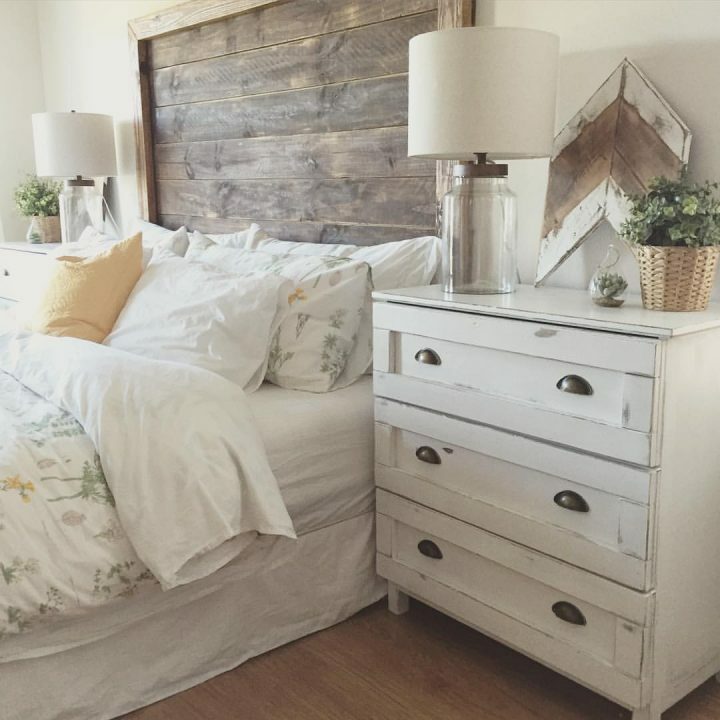 How about creating a wooden “frame” around your bed by fixing beautiful old wood panels to the wall and ceiling behind and above your sleeping place? This is a simple, yet stylish way of creating a rustic log chic in even the most modern of rooms. 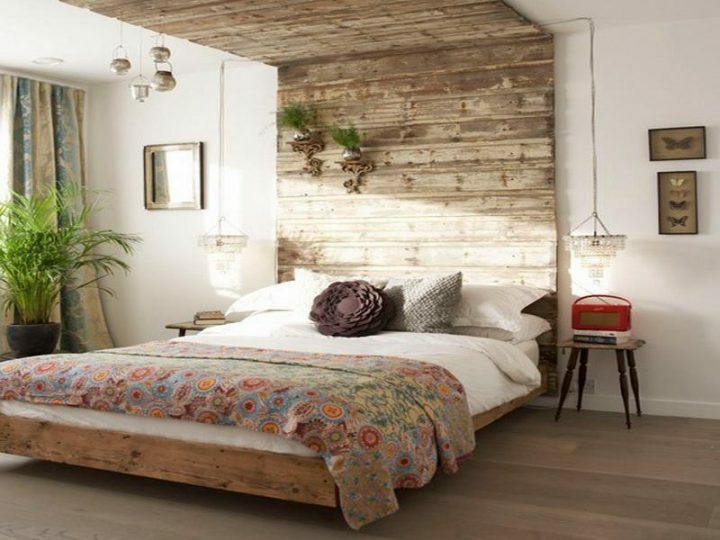 The secret to creating rustic bedroom coziness? Pillows! More Pillows! And then some more pillows! 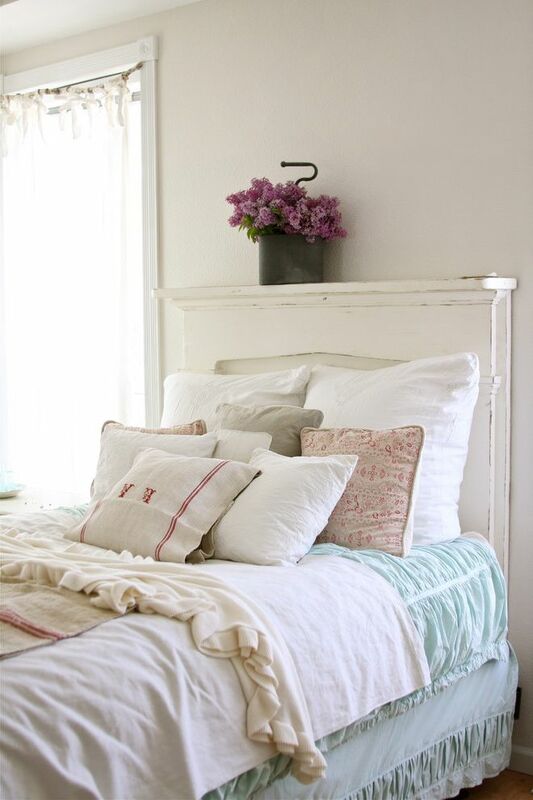 In essence, you should aim to create a veritable mountain of pillows on your bed! The only rule? Stick with one overall colour scheme for your room. Light colours are a given, the rest is your choice! As we have said before, all things nature are a staple for decorating rustic bedrooms. So it’s only logical to literally bring nature into the room. Those beautiful blooms on the bush in your front garden? Those first bright spring flowers springing up in your backyard? Or just that lovely summer-flower arrangement you saw at the florist’s on your way to work this morning? Put them in a vintage vase (a simple glass vase usually looks great!) and add a vibrant splash of colour to your bedroom! If you’re going for the rustic design style, yard sales are your best friend. See if you can find some beautiful old items of furniture, for example dressers, that fit your idea of the bedroom of your dreams. Signs of wear, like a splintered coat of colour, are no faults – they are exactly what you are looking for to create the used, slightly shabby feel of a good rustic bedroom design. 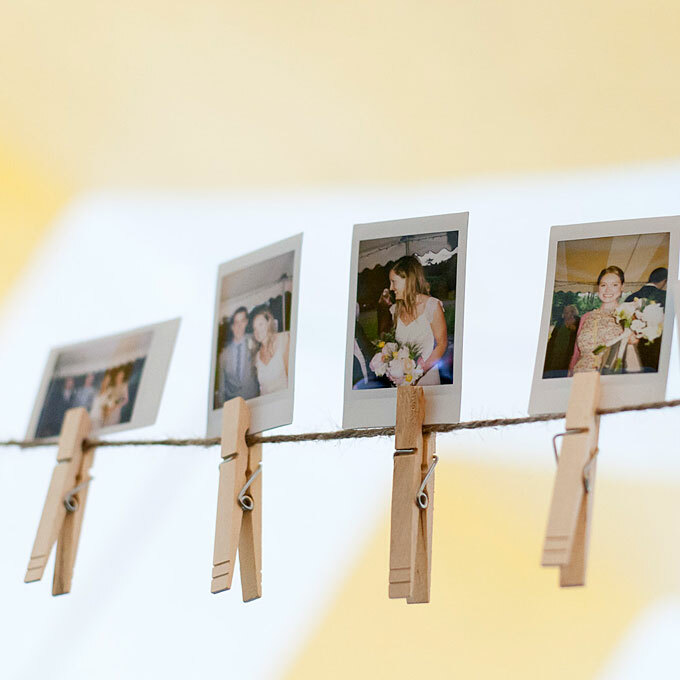 Forget about neatly framing and mounting your most cherished fotos. Go the easy, the rustic way! Simply hang a thread of yarn across a wall, and pin your fondest memories and most cherished people on there with the help of wooden clothing pins. It’s simple, it’s effective, and it’s so charming! What’s better than a great piece of decoration that doubles as a bench and creates additional storage space in your bedroom? Nothing. Exactly! 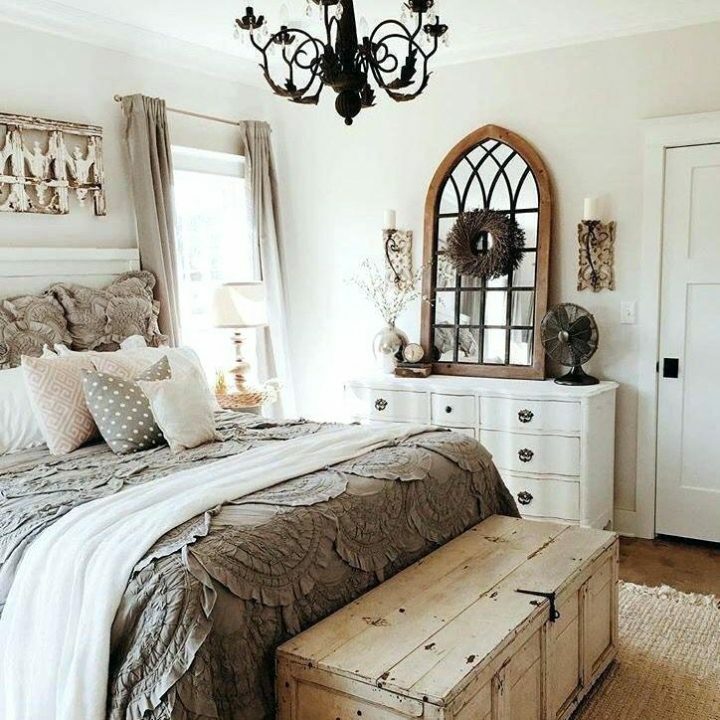 Use an old, sturdy wooden trunk at the foot of your bed to hold extra cushions, linen, or whatever else you want to keep within easy reach but out of sight. And the fact that this trunk easily doubles as a bench to hold either yourself, your clothes, or various knick-knack is just an extra bonus! As our example picture shows, it takes only a few small details to give even a very modern room a rustic touch. 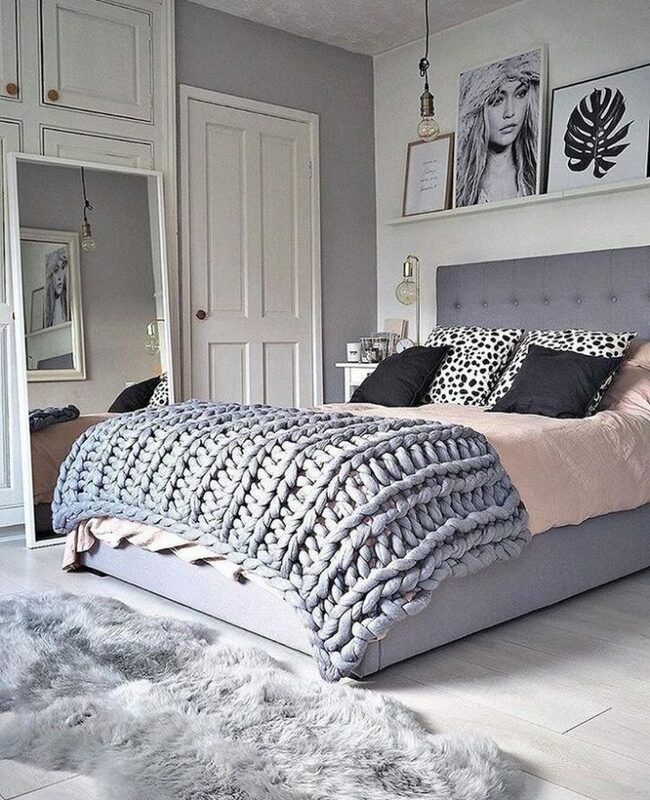 In this case, a wonderfully chunky XL-crochet throw thrown across the foot of the bed in combination with a similarly coloured fake fur rug on the floor are enough to give an otherwise modern room a cozy, rustic touch. Full length mirrors are always a godsent in any bedroom. If you manage to find a beautiful example with a distressed wood frame, you have hit the decorations jackpot! 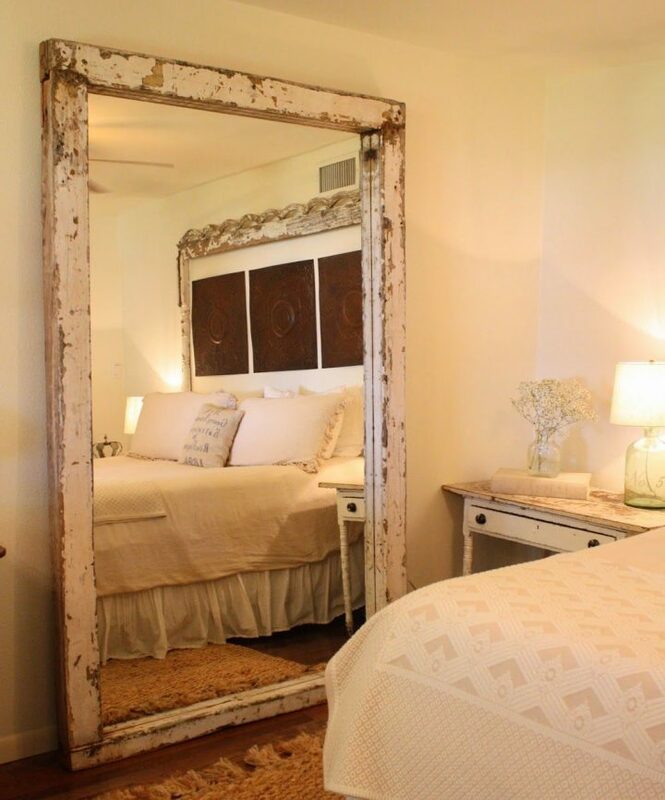 Lean your lovely mirror against the wall to further underscore the careless, shabby chick that goes so well with the overall rustic design style, and you’re in for greatness! 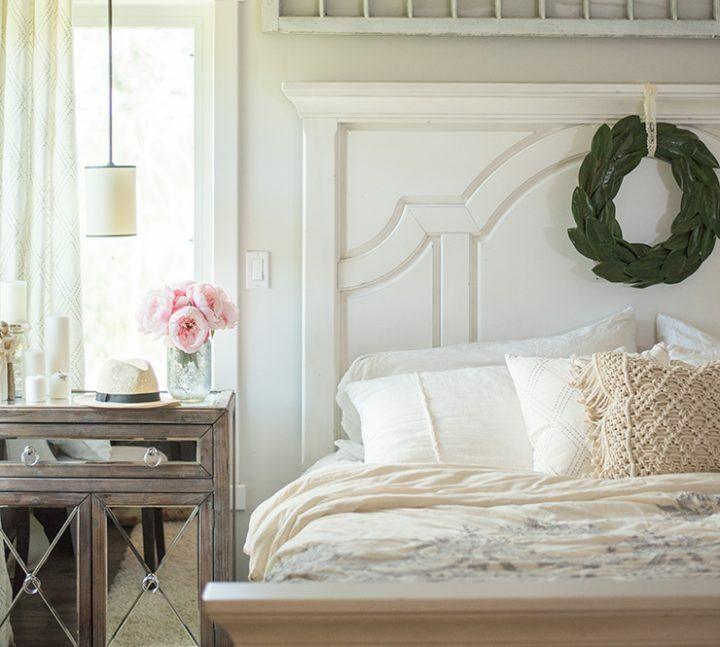 Antlers are a big item when it comes to rustic bedroom decorations. But we totally understand if you don’t want to mount a full animal skull over your bed. If you still want to implement this design ingredient, why not try something different? Antlers are also great to hang things off of. 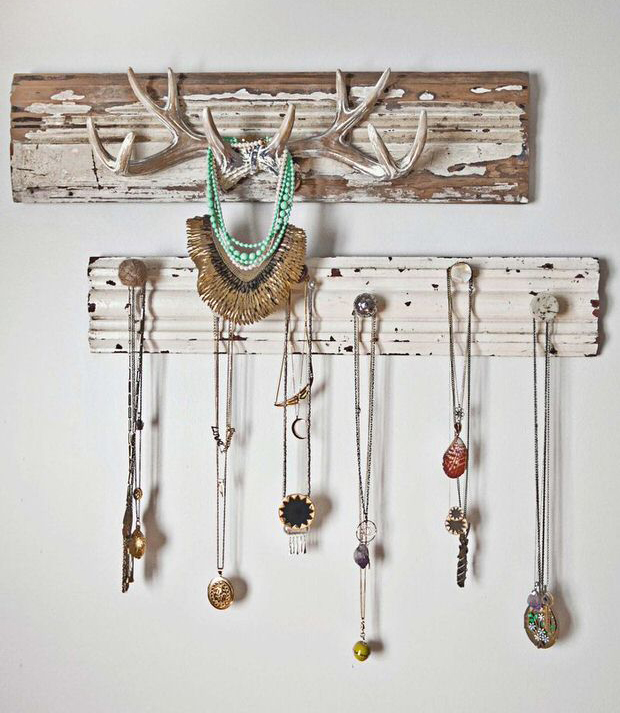 A small antler mounted on a nice, distressed board, or directly against the wall, for example, is a great place to hang your jewelry from to keep necklaces untangled. Which are your favourite rustic bedroom decoration elements? What is still missing from our list? Let us know below!